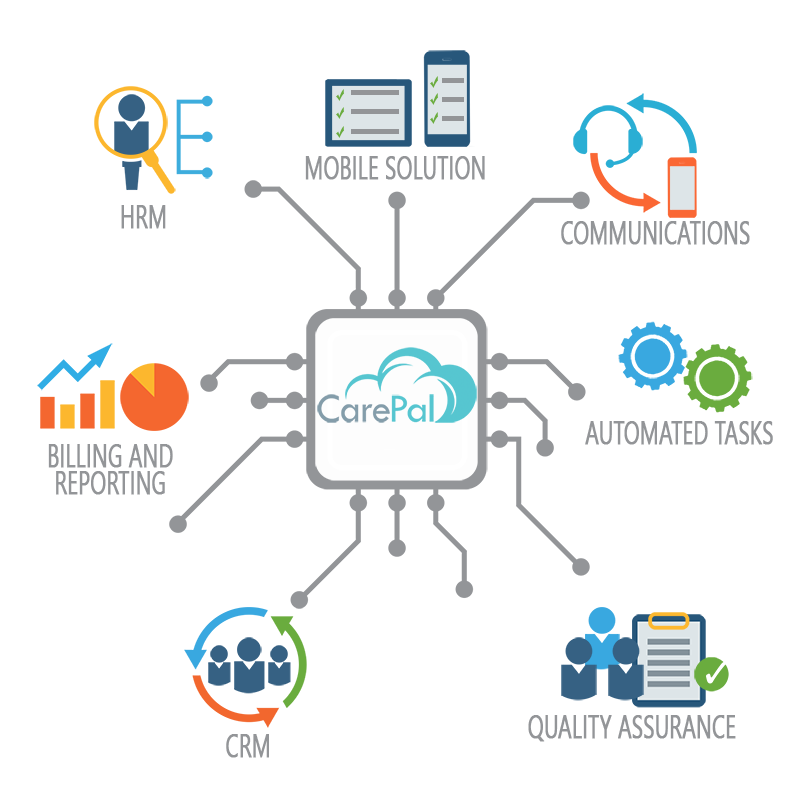 CarePal is a cloud based management solution for the home care industry. Developed in partnership with staff from the home care industry, the solution allows companies to save time and reduce costs by automating much of the daily tasks carried out by both the back office and the carers in the field. Combining a comprehensive and powerful backend solution with a best in class mobile solution, CarePal promises to continue delivering as your business grows. CarePal consists of multiple modules which combine to provide your company with a complete management solution to help you run your business. From the delivery of care point of view, CarePal aids visit compliance by using technology to ensure staff are where they should be and when they should be. When carers visit a clients home, their presence is recorded by them scanning a tag that is fixed in the house. These tags are inexpensive and can be replaced easily when needed. Additional validation is also applied using GPS technology. Using the mobile app, carers have a complete outline of all their visits, turn-by-turn navigation to the clients home, the latest information from the clients careplan and all the necessary contact details should an incident arise. Messages can be left digitally so the next carer to visit that client, can view these messages. Messages of urgent importance can be flagged as High Alert which in turn alert key members of staff. For added security each carer's location is mapped and tracked in real-time. This allows the office to have a quick turnaround when finding replacement staff. If a carer calls in sick or is simply unavailable to complete the next call, the office staff can see all the current carer’s locations within CarePal and assign the visit to the closest available carer. All this can be done without trying to contact the new carer via phone thus saving time and disturbance of any clients the carer may be with at that time. The main problem all home care providers have is scheduling. Using CarePal's advanced scheduling tools, this is made much easier. All schedules are validated to ensure compliance with working directives, client careplans and skills required. Using a template solution, carers can be permanently assigned to clients in order to provide continuity of care. Temporary assignments or pausing of schedules are also available. Careplans are all recorded electronically. Managers can record careplans at the point of meeting the client. This information is sent in real time back to CarePal and onto the client's files. The Managers follow up calls, reviews, etc are also recorded on the mobile app which reduces office time for these staff members and means they can see more clients in their day. Managing your clients and staffs documentation and compliance can be a burden and time consuming for companies. CarePal has a individual document repository for both clients and staff. Documents can be flagged with an expiry date which in turn will alert the office when these dates are approaching. Quality Assurance is achieved using CarEPal's quality module. Incidents an accidents are recorded using the carer or managers device. Depending on the severity, different processes and alerts can be configured. Issue resolution time frame can also be set so each record is automatically flagged accordingly. GDPR compliance starts on the 25th May and we take this subject very seriously at CarePal. 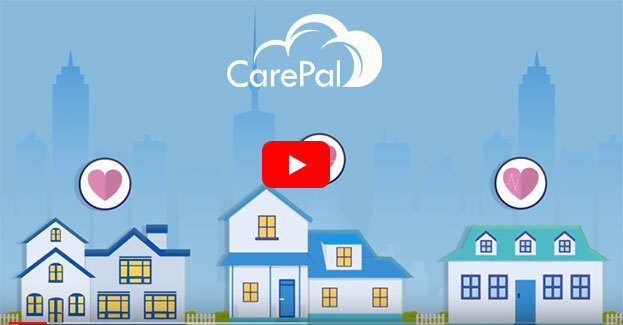 All In Care, one of Irelands leading home care providers has adopted CarePal into their organisation.